When out in the wilds, nothing beats a hearty, cosy campfire. 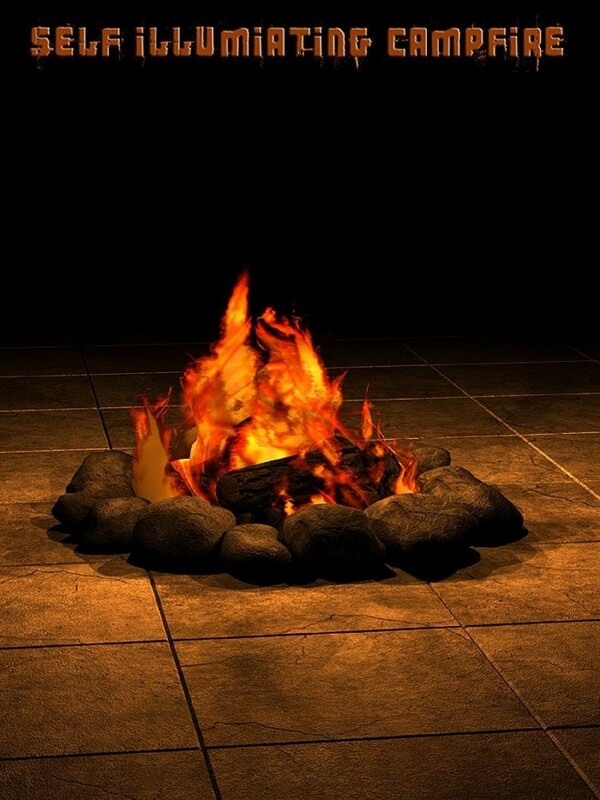 Now you can illuminate your scenes with this high-quality campfire that casts its own light! Perfect for almost unlimited scenes, the Campfire casts it's own light to a radius of 5 metres (15 ft approx) providing you with perfect lighting from the fire and eliminating the need to either postwork or fiddle around with lights yourself. Use this versatile prop for fantasy images, or the wild west, or contemporary camping or anywhere else that needs a campfire!